Jewelry is generally made out of sturdy materials, and can last forever if you take care of it. 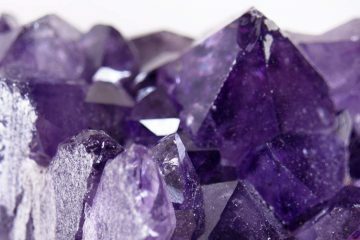 Gemstones and precious metals are not invulnerable to damage, though, and taking care of them does take a bit of forethought. In this guide, we will teach you some basic tips for taking care of your jewelry. For when you wear it, when you store it, and even when you ship it to get it repaired for example. We will also teach you the basics of cleaning and repairing. Let’s start by talking about how to take care of your jewelry while you are wearing it. 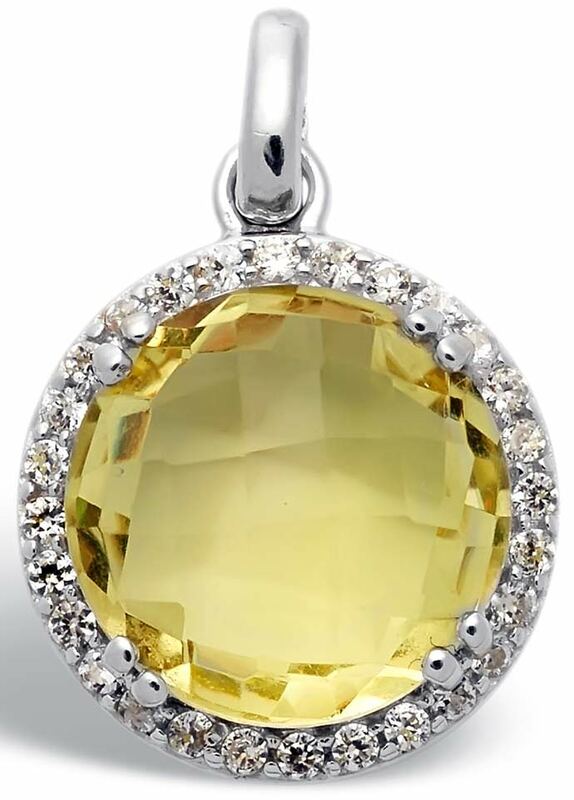 While there are specific tips which apply to different gemstones and metals, some tips for wearing your jewelry apply no matter what you are wearing. By following these basic tips, you will keep your jewelry in pristine condition and reduce the amount of polishing and maintenance you need to do to take care of it. Keep your jewelry from getting wet. When you get metal wet, it tends to develop a patina (and certain metals may corrode). If your jewelry already has a patina, this is not as critical, but if you want to keep shiny metal looking shiny, then avoid wearing it out in the rain, and take off rings and bracelets when you are washing clothing or dishes. If you are wearing macramé jewelry, you should also avoid getting it wet. The cotton and hemp cords used in macramé loosen and fray the more they are exposed to the elements. Keeping your macramé jewelry dry protects the fibers and keeps them firm and tightly woven. Keep your jewelry away from chlorine. 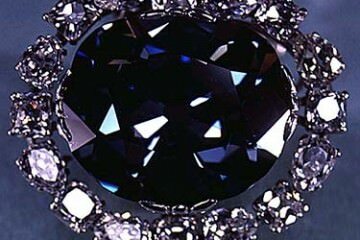 In particular, chlorinated water can damage precious metals. So while it is important to keep your jewelry dry whenever possible, it is extra important to keep it from getting chlorinated water on it. Never wear jewelry in the pool or spa. The chlorine can have a chemical reaction with the metal and cause it to change color or warp. Do not get soap on your jewelry. Soap can cause a film to appear on metal which you then need to remove. Do not allow cosmetic products to get on your jewelry. This is particularly important if you use products with chemicals in them (not as important if you use natural products). Chemicals in makeup, hairspray, and other personal care products can cause damage similar to chlorine in contact with your jewelry. Perfumes with chemicals may have a similar effect. So it is wise to apply all personal care products before you put on your jewelry (or simply avoid products with chemicals). Do not wear jewelry while performing manual tasks or playing sports. For one thing, jewelry can easily become snagged or damaged when you are active—and in some cases this even poses a safety hazard (as with earrings). Do not wear jewelry while you are cleaning. Household detergents generally have chemical ingredients, and these can damage your jewelry, just as the chemicals in personal care products or chlorine can. So while doing the laundry, washing dishes, or cleaning house, it is smart to set aside your jewelry until you have completed your task. Do not sleep with your jewelry on. 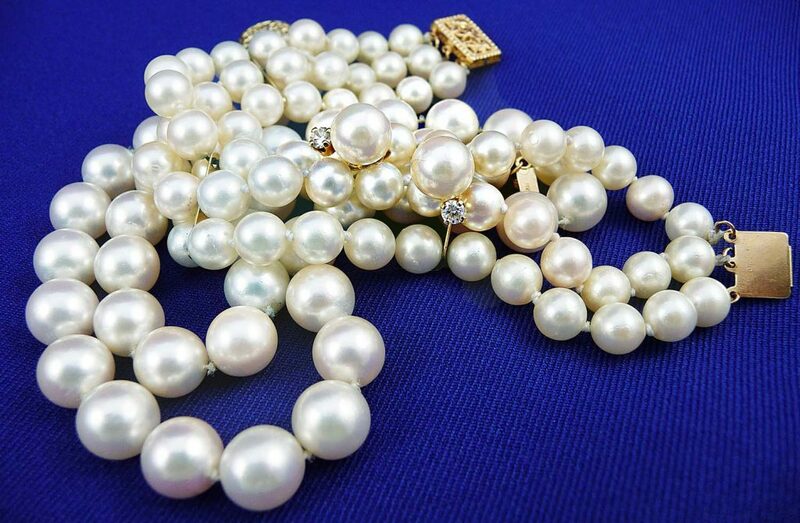 You can easily crush fragile jewelry if you turn over in the night, so even if the jewelry does not pose a hazard to you, you may damage it unknowingly in the night. Take your jewelry off before you go to sleep and put it somewhere safe. Many people choose to forgo the advice above, either out of laziness or a desire to not take off their jewelry. But this is why a lot of jewelry does not stand the test of time. It is not because the pieces were poorly made, but simply because their owners did not follow basic advice in taking care of them. Keep your jewelry from getting wet whenever possible, and avoid exposing your pieces to chemicals. Do not wear jewelry in active situations or in your sleep. By taking these simple precautions, you can ensure your jewelry remains in beautiful shape for the rest of your life! Next, we will talk about how you can clean, safely store and ship jewelry. If you are careful about wearing and storing your jewelry (learn more about this in our first installment), you can reduce the amount of maintenance you need to do in order to keep your jewelry clean and polished. Now and again, though, chances are that you will need to clean your jewelry, rub off a patina, or remove dust. If you do not clean your jewelry properly, you can actually damage it. So it is important to know what you are doing before you try. That way you can keep your jewelry in prime condition. Do not use soap or bleach while cleaning jewelry. Soap can leave an unpleasant film which you then need to remove, and bleach can completely destroy jewelry. Instead, stick with a simple solution made out of rubbing alcohol and water. This is safe and will not damage your jewelry in any way. It is also very effective at cleaning and disinfecting. If you need to remove dust, either use water to rinse a piece or use an air duster. If you have an elaborate piece which has lots of little nooks and crannies (common with wire wrapped jewelry, especially more complex or freeform pieces), you can either rinse the dust off by running water over your piece, or you can try using one of those air duster cans you can pick up for your computer. With an air duster you can direct a narrow stream of air into those nooks and crannies to remove the dust. This allows you to reach places you can’t with a cloth, and you can also control the intensity easily, which is perfect for delicate cleaning jobs. Do not clean your jewelry with hot water, especially while using cleaning fluids, as this can cause discoloration. Warm water is less likely to cause chemical reactions, and it is also gentler, which makes it a better choice for cleaning jobs. Use a polishing cloth. A polishing cloth is an inexpensive, very helpful specialty item to purchase. 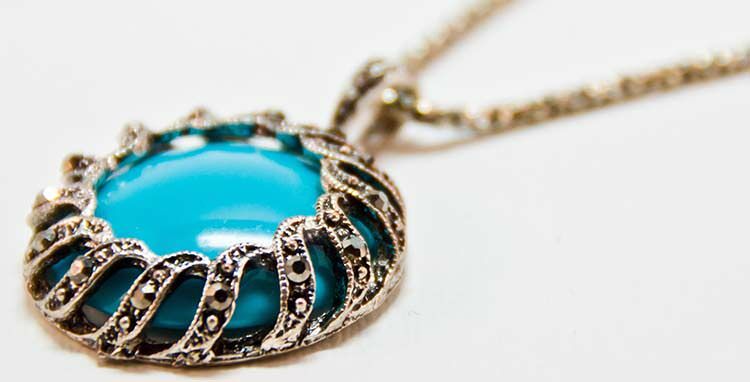 Polishing cloths are very effective, and do not scratch delicate jewelry or damage soft metal like gold. You can get a ton of use out of a single small cloth. This is the best way to shine up metal pieces and remove unwanted patinas. Try not to wait too long before you polish your pieces. 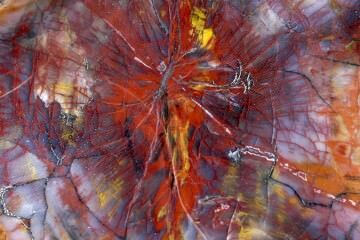 You will have a much easier time removing patinas if you do not allow them to build up too much. Even a very dark piece can usually be restored to its original brightness though with diligence. If you have jewelry which is damaged, it is best to get it repaired before you attempt to clean it, since cleaning damaged jewelry can make existing problems worse. You should have good results though with most cleaning jobs if you stick to polishing cloths, canned air, warm water, and rubbing alcohol. Avoid chemicals, especially bleach, and stay away from abrasive cloths which can scratch metal. If you just can’t seem to clean up a piece of jewelry you can also hire a professional jewelry cleaner. We already talked about caring for your jewelry, when you should and should not wear your jewelry, and also how you can clean your jewelry safely without damaging it. Another key to preventing damage to jewelry is to store it safely. Shipping is a similar issue, since shipping is a form of temporary storage that needs to be extra secure. Packages are jostled around and may be bent in the mail. You need to be able to pack jewelry you are sending (for example as a gift or to get it repaired) so that it will not get damaged en route to your recipient. First let’s talk about general storage tips for your own jewelry. The more jewelry you have, the more challenging you are likely to find it to sort and store. In particular, necklaces love to become tangled up, and certain types of pieces are more liable to get tangled than others. Necklace chains love to knot. 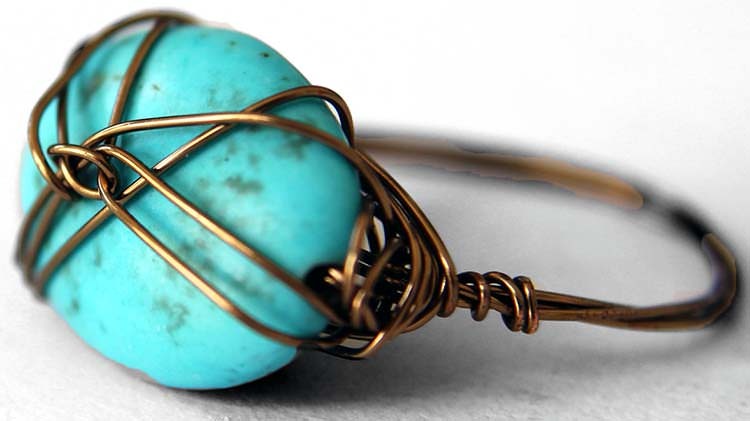 Wire-wrapped pieces love to grab and get caught on each other, and also to snag more delicate jewelry. Your goal when storing your jewelry is not only to keep it easy to find and take on and off, but also to prevent tangling, snagging, and other hazards which can ultimately lead to damaged pieces. Take inventory. Get started organizing your own jewelry by taking inventory of what you have. It is wise to not only write down each item you own, but also to take a photograph. 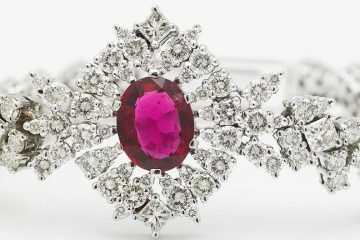 If you have expensive jewelry made out of precious metals and gemstones, it is also vital that you maintain a record of the price you paid for each piece. If you lose your jewelry at any point in the future, or your jewelry is stolen, you can tell the authorities what to look for when you file a police report. You can also prove a piece is yours, once it is recovered. A jewelry inventory is also helpful if you need to make an insurance claim. Store your jewelry in a dry place, and consider using anti-tarnish strips. Storing your jewelry somewhere dry will prevent a lot of tarnishing, but if you are in a humid area, you may also want to add anti-tarnish strips inside your jewelry containers. These strips absorb oxidants in the air, preventing patinas from forming. Organize your jewelry when you store it. There are many ways you can do this. One idea is to sort by type. If you have a jewelry box, store all your bracelets in one compartment, all your pendants in another, and so on. Earrings typically go inside compartmentalized containers. This makes it easier to find things, and may prevent some snagging issues. You can also sort each area in your jewelry box according to another characteristic, like color, making it easy to find what you need at a glance. Store jewelry snugly and securely. Jewelry boxes with fabric lining are the best, because they are less likely to cause your jewelry to be scratched, and also provide friction to keep pieces in place. If you do not have a lined jewelry box, you can always line the box you do have yourself with fabric. Imitation velvet (or real velvet) works very well for this purpose, because it provides softness and friction. Consider a jewelry tree. A jewelry tree is, quite literally, a sculpture of a tree. It is designed with branches distributed in such a manner that you can hang your necklaces and other pieces on it and keep them from getting tangled together. Jewelry trees take up space, which is one reason not that many people have one, but they provide a wonderful, simple solution for jewelry storage. You can instantly see all your pieces, and they are far less likely to tangle or snag this way. You can reach any of them instantly without effort, and putting them back is just as easy. When traveling, use a case. There are traveling cases specifically designed for carrying jewelry. These cases generally roll up and do not take up a lot of space in your luggage. You can only take a few pieces with you this way, but they will be safely protected. And that leads us to the next topic—shipping. Shipping jewelry safely means making your jewelry extra secure. If you send someone jewelry as a gift you certainly don’t want it to arrive damaged! If you sell jewelry that you make, you will need to be able to keep your jewelry from getting damaged en route to your customers. If your jewelry arrives damaged, you may be liable for the damage—and you will have an unhappy customer, which can damage your reputation. On top of that, if you have worked hard on a piece, the last thing you want is for it to fall apart en rote. You want it to be enjoyed. Use two packages. One great way to send your jewelry securely is to buy a small, lined jewelry box and put that inside a larger outer box or envelop for shipping. You don’t have to necessarily do this, but it provides two layers of protection. If you do use an inner box, depending on what you are mailing, the lining may be sufficient, but you may want to pack in some extra tissue paper or bubble wrap. If you do not use an inner box, make sure that you ensconce your jewelry inside of some bubble wrap or tissue paper and tape it up so that it stays secure and has an extra cushion of protection (do not overdo it though, or you will irritate customers, who may also then damage the piece while struggling to unwrap it). You will then want to pack more packing material around this (more loosely) so that the jewelry does not jostle around. Your goal is to prevent movement and make sure that a sudden blow to the side of your package will not harm the jewelry you are sending. Use lightweight material so you can keep your shipping costs down, and also try to keep padded envelopes as flat as you can (they charge for a parcel these days if you do not). Seal your outer box or envelope with tape. If you are using a flimsy envelope, and you notice stress around the edges, it does not hurt to reinforce those areas with some extra packing tape. As a couple of extra precautions when shipping, have the post office stamp your package with “fragile,” but try not to have any mentions on the outside of the box which indicate the contents as jewelry, or you increase the risk of theft. 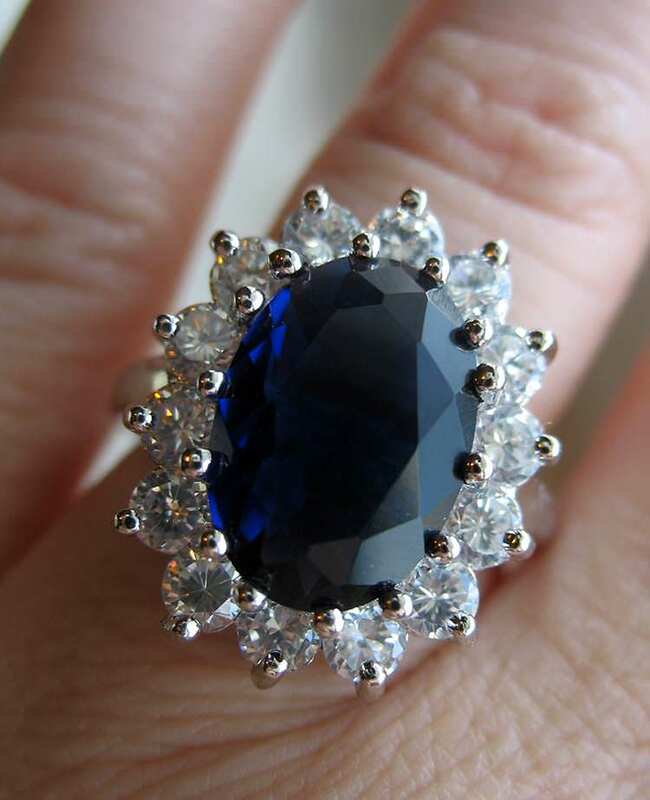 If you are sending very expensive jewelry with a definite market value, you may wish to purchase insurance. You also may want to send your mail certified and/or get tracking for your package to protect yourself as a seller. A tracking number is also a nice convenience for a customer. Taking steps to safely store or ship your jewelry will help you to prevent damage to valuable pieces. So store your jewelry in a dry, secure box at home, or use a jewelry tree. And when you ship your jewelry, follow the same principles of snug, secure storage, and add extra padding to prevent movement. Take further steps to protect your package with insurance or certification. So there you have it, all the information you need to keep your jewelry in the best shape possible. Jewelry that is cared for can last a lifetime or even become a family heirloom!